Suite Sleep Kapok Pillow Review and June Giveaway! I have a handful of favorite products at The Natural Sleep Store, but when it comes to pillows, the Suite Sleep Kapok Pillow is at the top of the list. 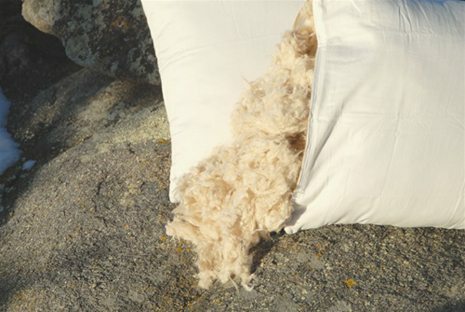 If you are like me and love the feel of a fluffy, light down pillow but want to choose a natural, allergy free alternative, then a kapok pillow is the way to go. When I rest my head down on the Suite Sleep Kapok pillow it feels as if I am nestled into a cloud, while still getting the support I need. Better yet, if I need more support I can open up the zipper and add more kapok silk fill to achieve the fill level that is best for my comfort. This pillow is so comfy and also sustainable. Kapok silk comes from the Kapok tree which grows in tropical climates close to the equator. Kapok silk is one of the most sustainable materials on the planet as it is the byproduct of the tree’s annual bloom. Better yet, Suite Sleep offers the option to purchase a removable organic knit cotton cover with a fancy floral print, which adds to the softness to make this an extraordinary pillow choice. Win the Suite Sleep Kapok pillow, standard size with knit cover, in our June giveaway! Pillow worth $103. No purchase necessary to win. Giveaway ends June 30th, 2013. Congrats Erica Borum of Castle Rock, CO, you won this contest!! !